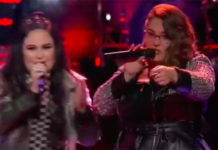 Kelly Clarkson and Koryn Hawthorne performs ‘I’d Rather Go Blind’ on The Voice 2015 Season 8 Finale on Tuesday, May 19, 2015! 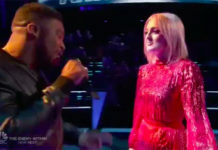 American singer and songwriter Kelly Clarkson performed ‘I’d Rather Go Blind’ with Koryn Hawthorne on The Voice Season Finale on Tuesday. 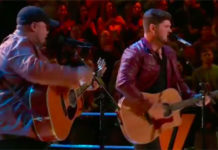 Meanwhile Kelly Clarkson recently released her latest single called Invincible from her seventh studio album, Piece by Piece. It is the second single from the album which was released on February 23, 2015.